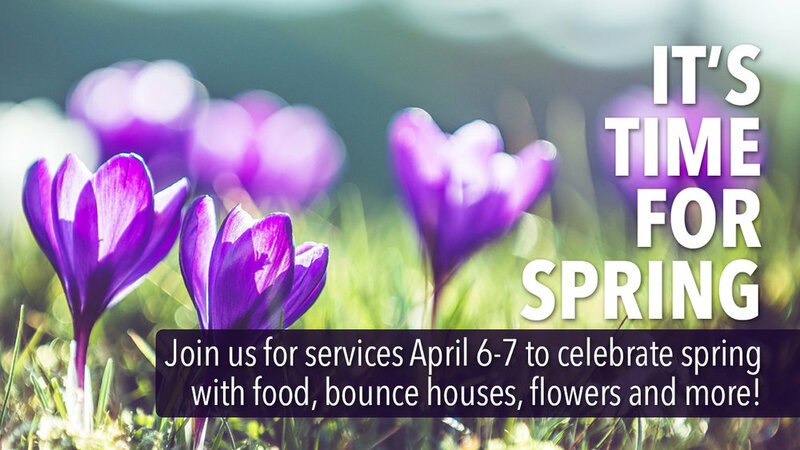 Winter is over, and we’ll be celebrating big-time at the Mid Rivers Campus the after each service the weekend of April 6-7. It’s a great time to invite friends and neighbors to come to church! THERE WILL ALSO BE A FOOD DRIVE THIS WEEKEND. Help us stock our food pantry by bringing items to church April 6-7.